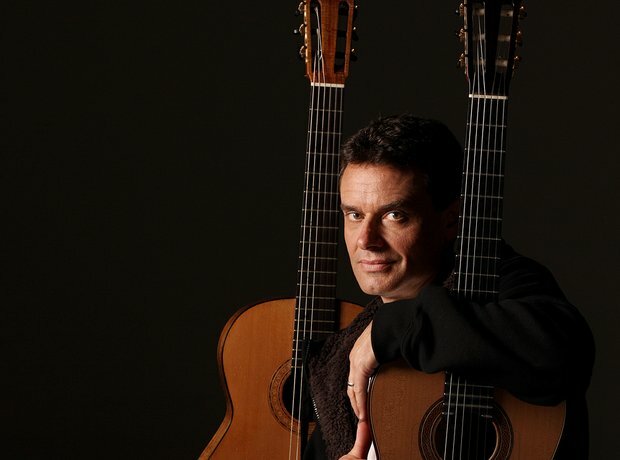 Australian-born Craig Ogden is one of the finest players of classical guitar of his generation. Here are ten things you may not have known about this exciting performer. Young Craig studied guitar from the age of seven and percussion from the age of 13. He left Australia with a music degree from the University of Western Australia. Ogden has been based in the UK since 1990. He was awarded the Royal Northern College of Music's (RNCM) Professional Performance Diploma with Distinction; the college’s highest award for performance. In December 2004, he was honoured by the RNCM with a Fellowship in recognition of his achievements. He is the youngest instrumentalist to have received this award from the RNCM. He is now Principal Lecturer in Guitar at the Royal Northern College of Music in Manchester and Visiting Lecturer at London’s Royal College of Music. Ogden’s performances have taken him throughout the UK, into Europe, the USA, South East Asia, South Africa and Australia in recital, on radio and on television. Ogden has been dubbed “a worthy successor to Julian Bream” and his debut solo CD for Nimbus Records of 20th Century Classics by British composers was nominated for a Grammy Award. In London, Ogden regularly appears as a soloist and chamber musician at major venues including the Purcell Room, Queen Elizabeth Hall, Wigmore Hall and the Barbican. Ogden's recording of all three solo Rodrigo guitar concertos with the BBC Philharmonic Orchestra was greeted with wide acclaim. Rodrigo’s daughter wrote to the guitarist: “This recording has confirmed your position among the greatest guitarists." In 2010, Classic FM released ‘Craig Ogden The Guitarist’ – a collection of popular guitar works, innovative arrangements of classical favourites and new works. The CD went straight into the classical chart at No. 1 where it stayed for five weeks and went on to spend three months in the top five. It was the second best selling UK classical album of 2010. Ogden made his Royal Albert Hall debut with the Philharmonia Orchestra performing Rodrigo’s Concierto de Aranjuez in a Classic FM Live concert and in May 2009 filled in for an indisposed John Williams at another Classic FM Live concert again playing the Rodrigo concerto. Ogden is married to British opera singer Claire Bradshaw with whom he frequently appears in concert. The duo have toured Australia and South Africa and perform regularly in festivals, for music societies and on radio. She is pictured here playing Suzuki in the Welsh National Opera production of Madama Butterfly. In December 2013, Ogden popped into the Classic FM studios in London and treated staff to an exquisite, impromptu performance of Silent Night.